Teeth whitening is an uncomplicated and non-invasive dental treatment used to whiten the color of natural teeth enamel. Teeth whitening is the optimal solution for anyone looking to enhance the beauty of his or her smile. Due to high demand, dentists have figured out numerous ways to whiten teeth. The simplest and most popular remedy to whiten teeth is to use a home teeth whitening system. However, teeth whitening only works on natural teeth enamel, so it is crucial to evaluate the replacement of any old fillings, crowns, etc. Any restoration procedure will be done after whitening, in order to match the newly brightened teeth. It is important to know that teeth whitening is not permanent. However, lessening the consumption of cigarettes, coffee, tea and wine will allow your teeth to last several years before another touch up is required. Fluorosis: a chronic condition caused by excessive intake of fluorine compounds, resulting in speckling of the teeth and potentially calcification of the ligaments. Normal wear of outer teeth layer. Stained teeth due to medications, coffee, tea, soda, wine, tobacco, poor dental hygiene and disease. Yellow or brown stained teeth. 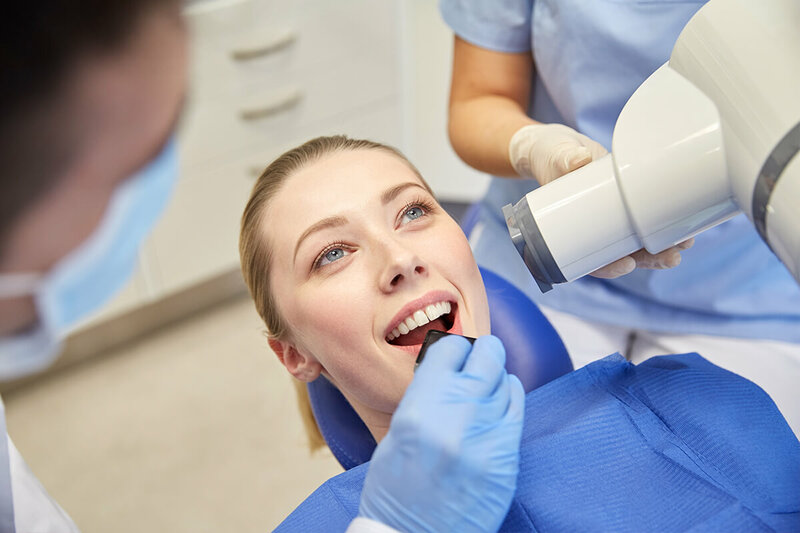 The procedure for teeth whitening typically requires two visits. First, there will be impressions (molds) made of your teeth, in order to fabricate customized, clear plastic trays. During the next visit you will try on the trays, and any necessary adjustments will be made. You will also be required to wear the trays with special whitening solution twice a day for 30 minutes, or overnight for a couple of weeks, depending on the extent of staining and preferred degree of whitening. Teeth sensitivity is expected during the time you are whitening your teeth, but will diminish shortly after you have completed the process. Tip: In order to maintain a white, flawless and healthy smile, we encourage you to visit your dentist regularly. You will also receive care instructions for your teeth and trays.